If you have a chip, spot, or other minor defect with your front teeth that you want repaired, tooth bonding is a great solution. It can even close up small gaps between your teeth! Using a composite resin that can be hand sculpted and then hardened and polished, an experienced dentist can match your tooth color perfectly. However, bonding is not a good solution for a major smile renovation. In that case, you may want to use porcelain restorations. Porcelain restorations are much more durable and stain-resistant. First, the surface area of the tooth where the bonding will take place is roughened slightly to make it easier to apply. A composite restorative bonding agent is then placed over the defective area. Dr. Swearingen will shape it and use a special light to harden the bonding material. The edges may be feathered so that the repair will be undetectable. The final step is for it to be trimmed and polished. 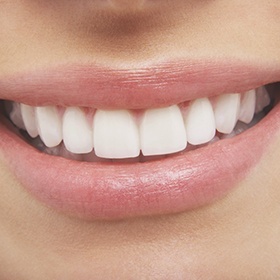 Well done dental bonding is indistinguishable from the rest of your tooth. If you have a minor front tooth defect that you would like to have repaired, you can call to set an appointment, or if you prefer, you can click here to request an appointment online.